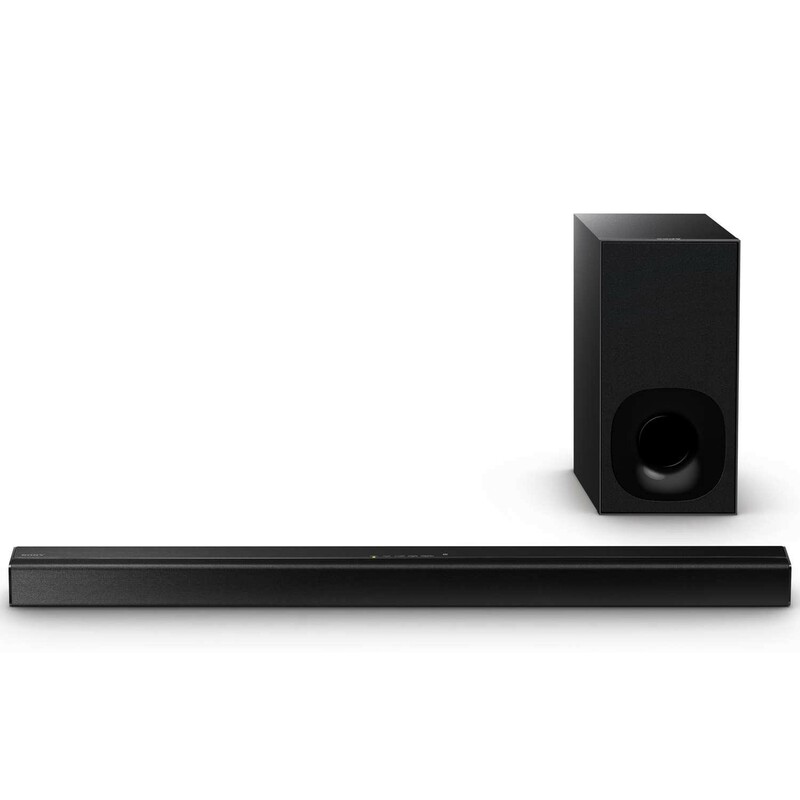 Enhance your entertainment experience with the Sony HT-CT180 100W 2.1 Soundbar Wireless Subwoofer. This compact unit packs a powerful 100W output with technology to drive cinema quality surround sound. Virtual surround sound processing is then combined with a compact wireless subwoofer to add dynamic and rich bass levels to your listening experience. With Bluetooth connectivity, you can sync the Sony HT-CT180 100W 2.1 Soundbar Wireless Subwoofer with other compatible portable devices without the need for additional wires. Listen to music using your portable music player or smartphone with ease. Thanks to wireless connectivity, the set up is quick and easy; the soundbar is a neat TV accessory and blends seamlessly into your existing entertainment setup.